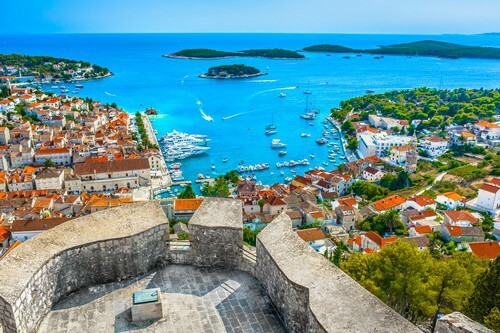 Explore this stunning coastline in style with stays in Dubrovnik, Split and beautiful islands including Brac, Hvar, Vis, Korcula, Mljet and Sipan. A great value cruise exploring the coast on board a modern ship, with comfortable cabins and delicious meals included. On arrival in Dubrovnik, transfer to Dubrovnik harbour for embarkation at your convenience. If you arrive before 13.00hrs it’s recommended that you leave your luggage on board whilst you explore the beautiful city. Once on board, spend some time relaxing in your cabin. You are invited to attend the Welcome cocktail party and dinner at 19.30hrs. You will be introduced to the captain and crew and your fellow passengers. 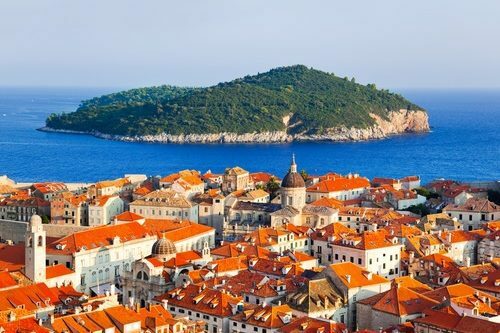 After breakfast join our English-speaking guided tour of the iconic UNESCO World Heritage Sites of the city of Dubrovnik. 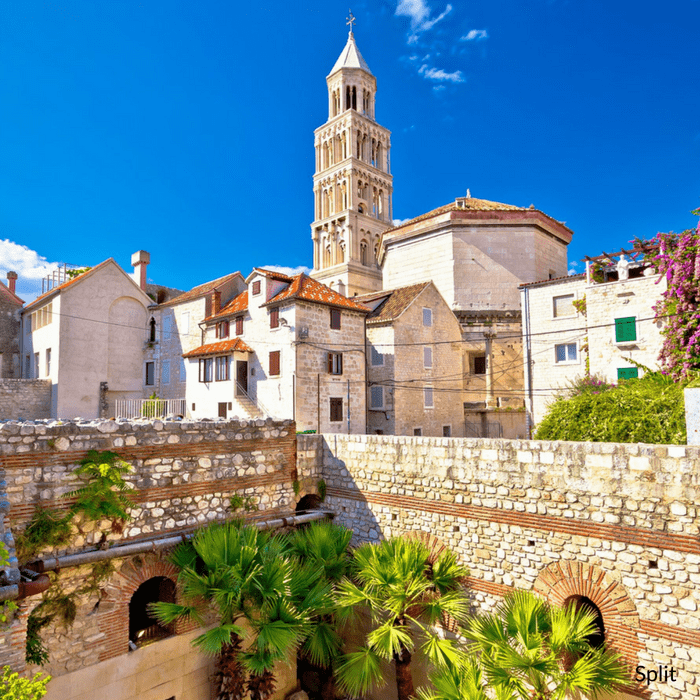 Visit the imposing and beautiful 16th century walls that surround the Old Town and learn about the history of the preserved buildings and churches. Stroll along the pedestrianised Stradun (or Placa) and shop for souvenirs. 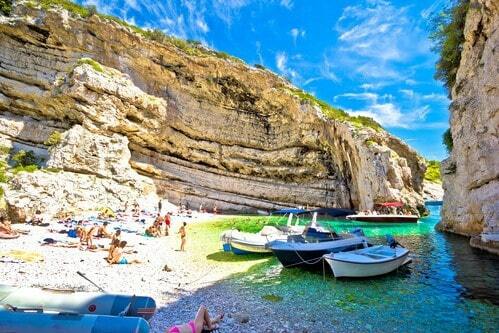 We will visit one of Croatia’s most popular attractions. 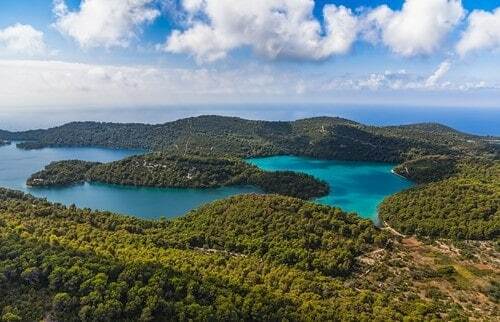 The National Park Mljet is a remote natural beauty spot that can only be accessed by boat. 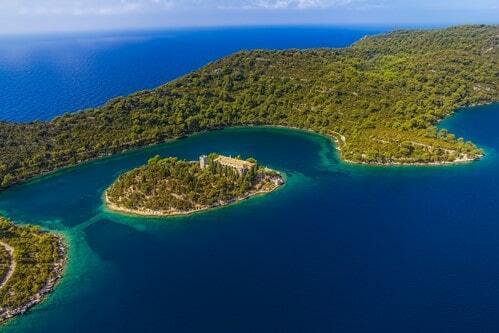 Explore the stunning Mljet National Park. Walk around the Great and Small Lakes and take a boat ride to the Islet of St. Mary to discover the 12th century Benedictine Monastery. Swim or simply soak up the tranquil serenity of the lush surroundings. Lunch is served on board as we cruise towards Korčula Island. 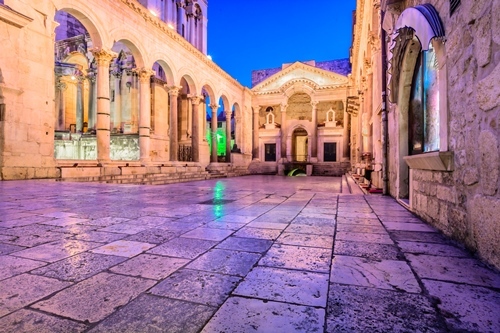 In the afternoon, join our excursion to Korčula Town, the birthplace of the famous world explorer Marco Polo. Explore the picturesque cobbled streets and enjoy the evening dining in one of the local restaurants. 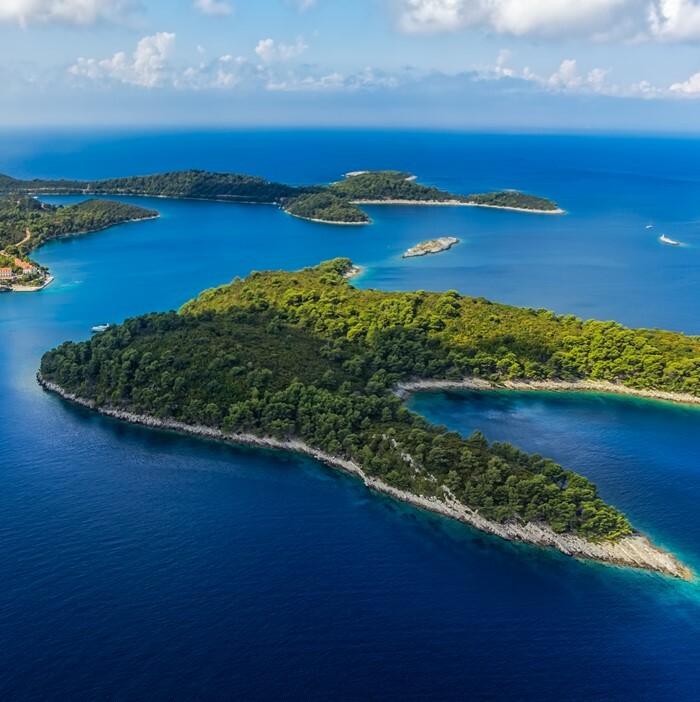 Cruise towards Vis Island, which is the furthest of the inhabited islands of Croatia. En route, enjoy a scheduled swim stop in a beautiful cove or bay. Due to the island’s remote location, and the fact that it was once used as a military base, Vis remains relatively unspoiled and untouched by tourism. Explore the beautiful beaches and find your own paradise. Take a tour around the ancient city walls and explore the remains of the thermae. The Archaeological Museum at the Levaman Fortress is home to many valuable exhibits dating back to the 4th century BC. After breakfast we cruise towards Bol, and the famous white pebble beach Zlatni Rat (Golden Cape). Take a walk about the picturesque seaside resort and enjoy a swim. 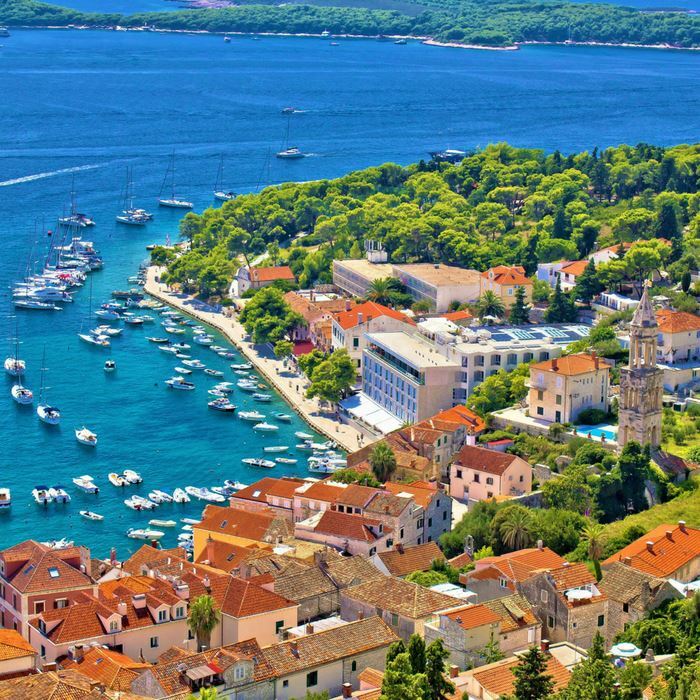 As the largest coastal town on the island of Brac, Pučišća has many interesting sights to discover and explore. Visit the villages that are considered to be amongst the prettiest in Europe. Wander and meander around the bay and admire the distinctive stone buildings. Pučišća is home to the only Stonemasonry school in Croatia, where students carve scultpures using traditional tools. We cruise across Brač channel to the quaint town of Omiš that is situated at the mouth of the Cetina River. Explore the oak tree lined main street and the ancient walls, fortresses and stone churches. 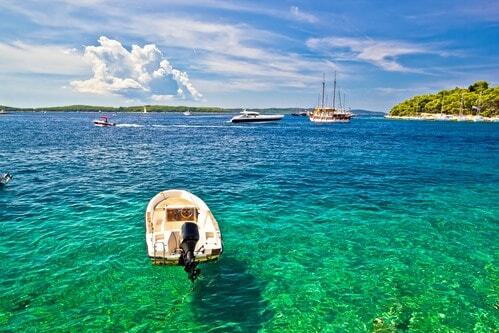 Continue sailing towards Split. 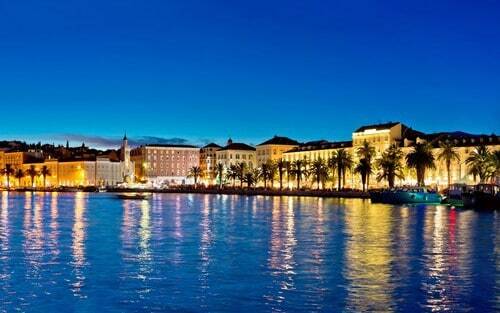 The second largest urban centre in Croatia, Split is steeped in history, heritage and culture. 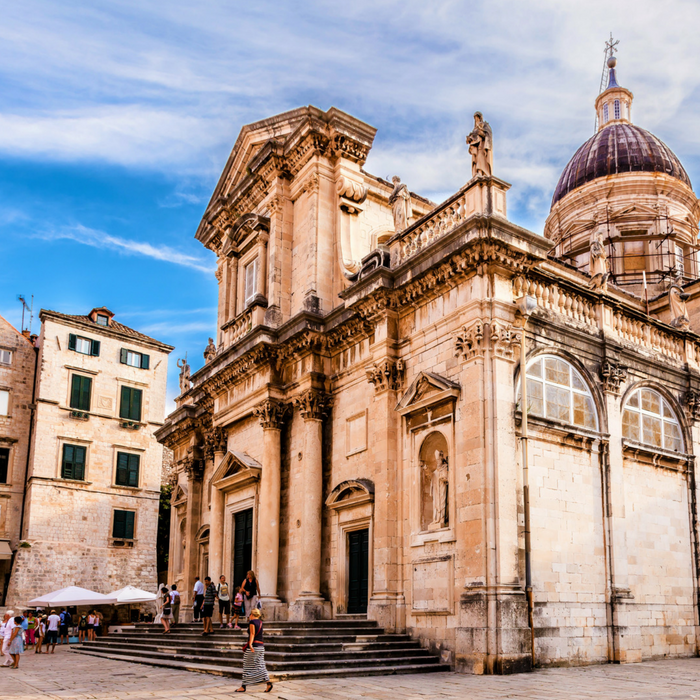 The UNESCO World Heritage Site boasts the iconic Diocletian’s Palace and a maze of intriguing cafes, shops and restaurants. Join our excursion and learn about the city’s rich history, and enjoy free time exploring. Celebrate your last evening with dinner in an authentic Croatian restaurant. After a freshly prepared breakfast, it’s time to say farewell to the captain and crew and all your the guests, and to transfer to the airport for your return flight home after a memorable trip. Price is based on 2 people sharing. 50% supplement for single use.